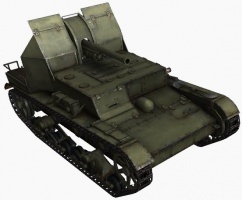 The SU-5 is a Soviet tier 4 self-propelled gun. The vehicle was developed at the beginning of the 1930s by the Design Bureau of the Kirov Experimental Machine Building Plant No. 185 (Leningrad). 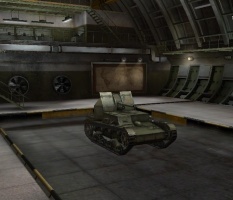 The project based on the T-26 light tank was designed for supporting mechanized units. Three prototypes with 76, 122, and 152 mm guns were produced. The variant with the 122 mm gun saw mass production. A total of 30 vehicles were supplied to the army. The project was discontinued in 1937. 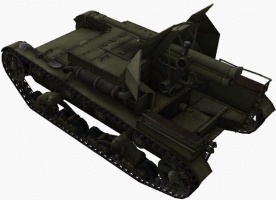 It can be considered as the worst of the whole USSR branch if in the hand of a low-skilled player, but it is actually much better than its predecessor SU-26 due to its 3rd weapon upgrades, the 152mm mortar NM mod. 1931, a lethal weapon conbining huge alpha damage with incredible penetration value and explosion radius, as well as a ridiculously high vertical shell arc, best of all tier IV SPGs, even better than many tier V ones. 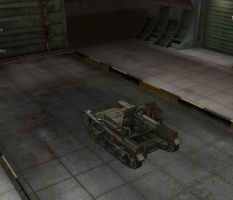 However, the 152mm mortar has two significant disadvantage: very short range and low ammo count. 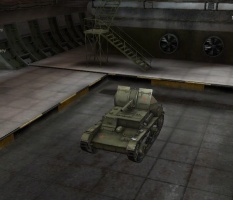 Stock, it starts with the underpowered 76mm Howitzer. 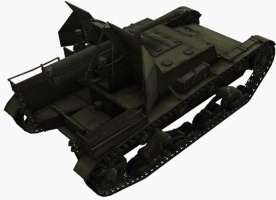 Prior to 8.6, you could have spent the effort to get the 122mm howitzer with the SU-26 and thus, can start with that. Considering that the 122mm was removed from the SU-26, however, this would perhaps make the grind somewhat more difficult. Some players even prefer the 122mm howitzer to the 152mm mortar, because of its higher ammo count, and also it's increased rate of fire. The SU-5 leads to the SU-122A. Long gun range coupled with decent ammo capacity and respectable damage when mounting the 122mm howitzer. Insanely high gun elevation, especially with the 152mm mortar. With the 152mm mortar, the SU-5 lobs shell at a high vertical arc. Inadequate 76mm howitzers, painful stock grind due to the 76mm's low alpha damage and the SU-5's narrow horizontal gun arc. Quite sluggish. Any tank that has spotted the SU-5, can destroy it with ease. Poor ammo capacity when mounting the 152mm mortar. Very slow shell travel time on all its guns. At first, this SPG doesn't seem so good compared to its tier 4 counterparts. It has neither the Pz. Sfl. 4B's versatility, nor the AMX 105AM's mobility, nor even the M37's ammo capacity to back its rate of fire. This is because its most powerful advantages are not easily figured out - high shell arc, accuracy and high penetration HE. At stock, the SU-5 is a terrible SPG to play, coupling the 76mm howitzer's low alpha damage with the SU-5's narrow gun traverse. It is highly recommended that you research and mount the 122mm howitzer as soon as possible, otherwise you will just be dead weight for your team. 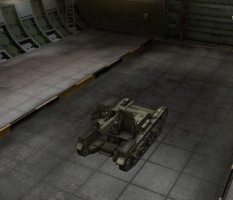 With the 122mm howitzer, you have good range that can cover a large portion of the map, however, the horrible accuracy makes long-range fire risky. You should move up with your team, choose a good firing spot, lock hull and patiently aim at large, sluggish heavy tanks - larger target size means more chance for a direct hit. 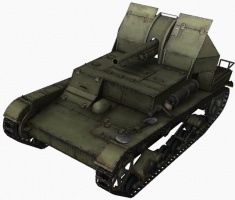 The 122mm combines many good points for a SPG gun: good range, acceptable ammo capacity, average rate-of-fire and average vertical shell arc. If you like the 122mm, you do not need to move on, but it is recommended to try out the 152mm mortar that the SU-5 is famous for, before choosing your favorite among the two. All of the radios and engines carry over from the SU-26, though not the 122 mm Howitzer mod. 1930 gun as of 8.6. Install the T-26F engine and 12LL radio immediately. Everything can be mounted without upgrading the suspension (Upgrading everything except the suspension brings it to a total weight of 10.35t out of 10.49t) so research the 152 mm Mortar NM mod. 1931 quickly, though it will take a long time due to the terribly inadequate 76 mm gun. Depending on your play style, you can either stay with the 122mm or switch to the 152mm mortar for improved damage/penetration. Self-propelled gun SU-5-1 armed with 76.2 mm divisional gun mod. 1902/30. The SU-5 is another T-26 variant. Three prototypes were built in 1934 with a further 30 vehicles produced in 1936. SU-5-1 — Self-propelled gun armed with the 76.2 mm divisional gun mod. 1902/30 (open-top type, the single vehicle was built in 1934). SU-5-2 — Self-propelled gun armed with 122 mm howitzer mod. 1910/30 (open-top type; a single vehicle was built in 1934 and a further 30 vehicles in 1936). SU-5-3 — Self-propelled gun armed with 152.4 mm divisional mortar mod. 1931 (open-top type, a single vehicle was built in 1934). This page was last modified on 4 May 2017, at 20:45. This page has been accessed 12,037 times.